SOUTH LEBANON – Making three straight foul shots with the outcome on the line is athletically hard. Losing three tense, tight games is emotionally difficult. Just when they thought things couldn’t get any worse, they did. 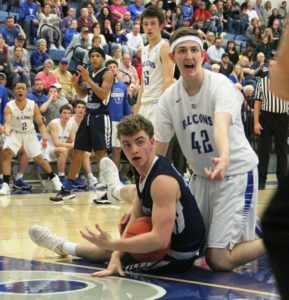 But it wasn’t the worst-case scenario for the Cedar Crest boys’ basketball squad. 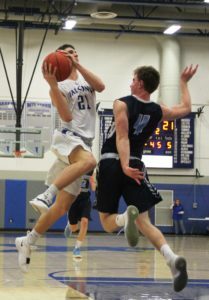 During Tuesday night’s regular-season finale at ‘The Cage’, the Falcons dropped their third nail-biter in five days, when they endured a difficult 61-60 loss to Manheim Township. 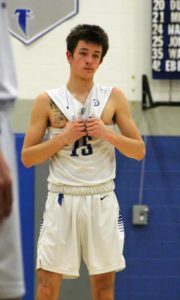 With :00 showing on the fourth-quarter game clock, senior Logn Horn made two of three free throws – missing a third which would’ve sent the game to overtime – after being fouled on a three-point attempt at the buzzer. 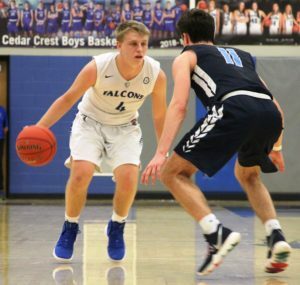 After Cedar Crest had trailed by as many as 13 points late in the third quarter, Jason Eberhart had pulled the Falcons to within 61-58 of the lead, on a lay-in with 32 seconds remaining. Horn’s first two chartity tosses were true, but his game-tying attempt rimmed out. 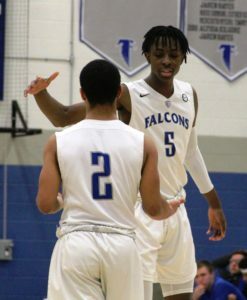 It was less than a week ago that Cedar Crest seemed to have a firm grip on the Lancaster-Lebanon Section One championship, up two games in the standings with three league tilts remaining. 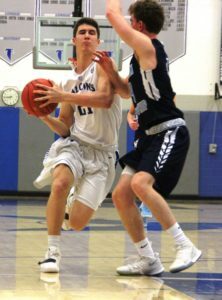 But the Falcons lost on a buzzer-beat at McCaskey on Friday and endured a 43-41 loss at Penn Manor on Monday. 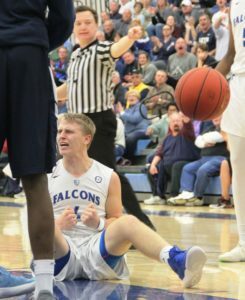 The three consecutive defeats – by a total of four points – dropped the Falcons to 17-5 on the year, and to 8-5 and into second place in the circuit. 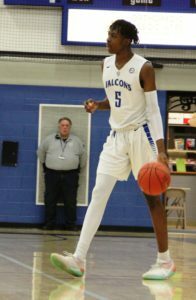 Cedar Crest earned the Lancaster-Lebanon League playoff berth that goes with the runner-up spot when McCaskey fell at Hempfield on Tuesday night. All the standing shuffling gave Manheim Township, now 14-7 overall and 9-4 in the league, the Section One crown. 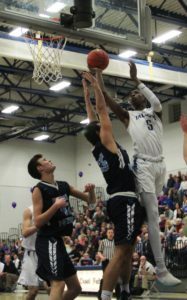 The Falcons had defeated the Blue Streaks 69-66 in Neffsville on January 17. “These kids are warriors,” said Cedar Crest head coach Tom Smith. “The ball just hasn’t gone in for us. It’s not a lack of effort. I can’t pinpoint exactly what it is. But the guys have stayed together. I think in the long run, this is going to make us stronger. The Falcons trailed by a couple of possessions in the first half, and 46-33 with 2:46 left in the third quarter. 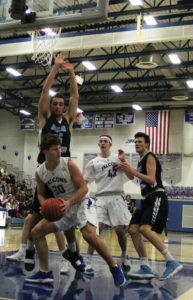 But Cedar Crest embarked on a 14-3 journey that pulled it to within 49-47 of the lead, three minutes in the final stanza. Then, three-pointers from Trey Shutter and Horn, and a Shutter foul shot, gave Cedar Crest a 54-52 edge, with 2:24 to go. 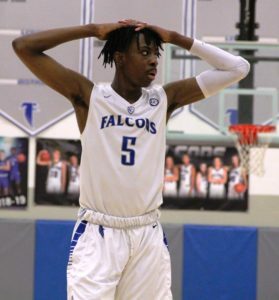 The Falcons’ last lead of the evening came at 56-55, with 1:30 remaining, courtesy of an inside move by Ileri Ayo-Faleye. “There’s no one I’d rather have at the line than Logan,” said Smith. “I’d take him ten out of ten times, a hundred out of a hundred. The ball (on the third free throw) was halfway down. It was just unlucky, unfortunate. We never would’ve been as close as we were without him. There’s no one hurting more than him. But we’re here for him because he’s our brother. 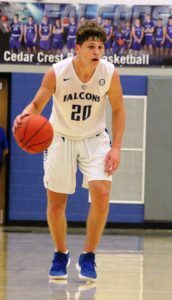 After the Falcons trailed 35-27 at the break, the Blue Streaks netted the first five points of the second half to extend their lead to 13 points. 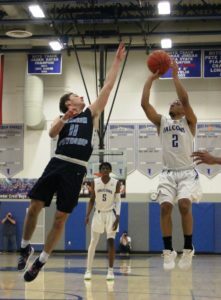 “We thought we played pretty well in the first half,” said Smith, whose team was situated second in the latest District Three Class AAAAAA power rankings. “We thought we made some shots early. It’s (Manheim Township) a good basketball team. They had 35 points, but they earned them. That’s what we wanted. 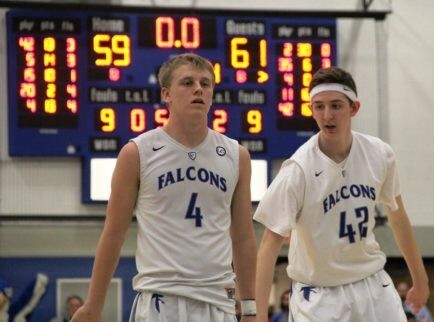 With four scorers reaching double digits, Cedar Crest’s offense was extremely balanced. Horn showed the way with 15 points, Ayo-Faleye and Eberhart followed closely behind with 13 points and Shutter tossed in ten. 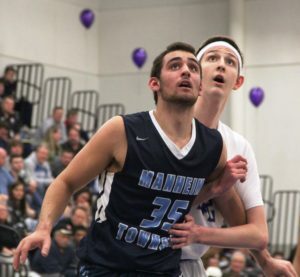 Manheim Township star Tyler Crespo poured in a game-high 30 points, including 11 of his side’s 15 fourth-quarter points. 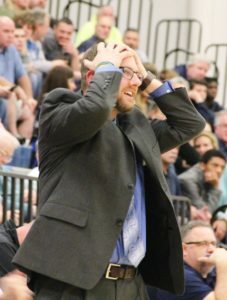 The Blue Streaks converted 16 of their 24 free throw attempts, while Cedar Crest went 13-for-23 at the line. The Blue Streaks opened a 17-10 lead six minutes into the contest, on a pair of charity tosses from Crespo. But an inside move by Eberhart 1:38 into the second quarter drew the Falcons to within 19-17 of the lead. “It’s tough,” said Smith. “We played well enough to win. That’s a good basketball team. It’s gut-wrenching for all of us. 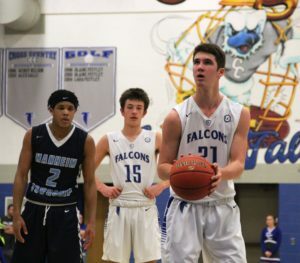 Despite Horn scoring seven straight Cedar Crest points, the Falcons trailed 33-26 late in the the first half.